A support system is the backbone of any business or organization. Hence, webmasters who own online business, set up a knowledge base & FAQ section without fail to keep their customers updated about their product & company. Most importantly, it helps you to manage your customer queries with expertise. However, if you use the knowledge base PHP script, you will surely excel in providing the knowledge base to the users & make various commonly asked questions accessible to them. These scripts aid you with amazing features for creating the knowledge base, FAQ, documentation section for your company website. For instance, you can provide support tickets, add featured or most popular knowledge base articles on the web page and a lot more. Want to know more about these PHP scripts? Let us quickly move to the following blog. 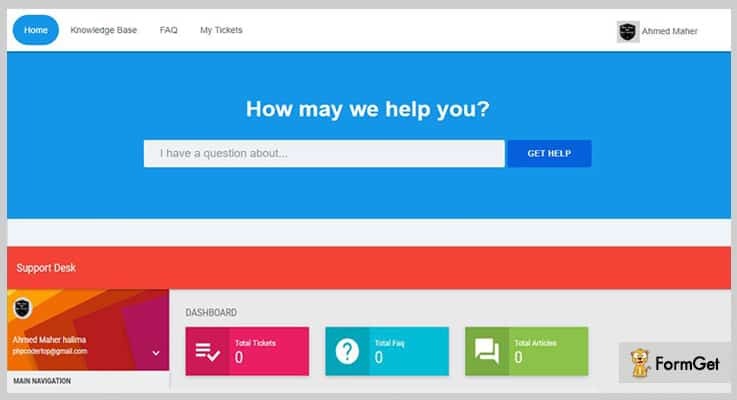 With this script, you can provide a ticket system, knowledge base & documentation to support the users in the best possible way. 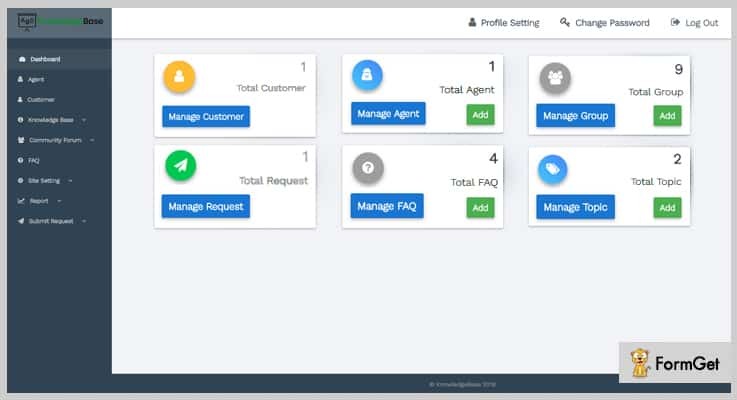 Moreover, you can provide a user-friendly client area for the users so that they can create tickets on your system via registering or as a guest user. Instead, you can always manage the user roles & define specific access to certain members. The script provides utmost secured login with captcha enabled registration page and security against brute force & CSRF attacks. 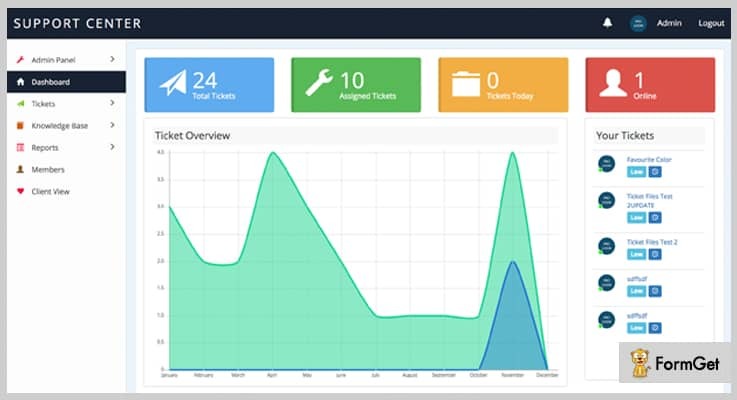 Furthermore, the admin can offer various premium plans to the users so that they can avail premium time for their support tickets. Also, they can make payments for these plans through secure payment gateways like PayPal, Stripe etc. 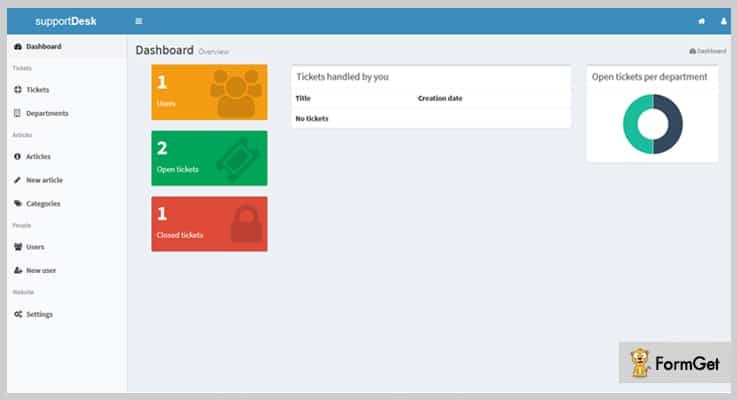 You can also create custom fields for tickets to have additional information about the users. The script is integrated with CKEditor so that you can insert images, links and other media on the knowledge base articles & documentation of your projects. Avail the regular license of the script at an economical cost of $39 with various features. For instance, you will get social media account login option, email alerts, canned responses for tickets, email templates etc. Whereas, the extended license of the script is available at $155 bundled with even more advanced features. RTL support, translation in 8 languages, future updates, support system are a few to name. It is one of the most popular PHP scripts that lets you have knowledge base articles, & support tickets to guide the users in an appropriate way. To start with, you can install the script in just 3 simple steps & have a fully functional knowledge base section of your website. Also, the script allows email notification to admin & registered users for various purposes. For example, both users and admin can get notified on resolving a ticket. The script provides you with contact forms having built-in reCaptcha in order to prevent spammers & bots. Besides this, you are also facilitated with protection against brute force attack (hit-and-trial login attempts) from the hackers. It helps you to ensure articles privacy, i.e. you can allow certain authorized members to view specific articles of your website. You can make unlimited configurations as per the need from the back end. For instance, you can set automatic ticket closure if it is inactive for a certain period of time. Moreover, the script provides you with automatic sitemap generator of website’s content to assist users and search engines in navigating the site easily. Buy the regular license of this PHP script at a very reasonable rate of $40 & extended and get enriched with all the basic features like eye-catching themes, free updates in future. The extended license will provide you with even more advanced functionalities in $125. Language translation, SEO friendly URL are a few to name. This is one of the simplest knowledge base PHP script that lets you add unlimited questions & organize the support content in multiple categories and subcategories at the first place. Additionally, you can have two user roles (administrator and editor) with the different access level to the admin page. The webmaster will have an information about various elements such as last updated questions, last logged in users, and a lot more. You can create a glossary of the knowledge base and also add featured/most popular knowledge base articles on the web page for the user’s convenience. Further, you can provide the knowledge base & FAQs in multiple languages. Also, you can add different language flag bars at the front-end. It has an inbuilt interactive widget for a better user experience where they print articles, email the article links and even rate the article. This responsive knowledge base PHP script comes with its user license at just $19 with features like unlimited installations, free updates etc. Whereas, you can purchase the developer license of this script at $49 that posses a lot more enhanced features. For example, copyright removal option, custom modifications, free updates and a lot more. With this script, you can have a brilliant customer support system to assist your customers in every aspect. For example, you can deal with all the queries related to your products in a very professional manner. This feature-loaded script is very responsive and ensures perfect layout on every device screen. You can add and manage all the categories of the knowledge base, support tickets, FAQ etc. directly from the admin panel. Further, you can anytime add the new article in the knowledge base, FAQ for your customers. You can also provide a social login option to the customers from various popular social networks like Facebook, Twitter, Google. This knowledge base PHP script comes with a price of $29 for its regular license with multiple basic features. The extended license is available at $87 only with unlimited enhanced features such as free support, future updates etc. If you want to manage your documentation or knowledge base on your website effectively, then KnowledgeBase is the perfect solution for you. With this software, you can create community post on the website that will help to resolve customers queries to a great extent. The powerful admin panel helps you to manage FAQs, articles, support agents, community topics etc. with much ease. It is integrated with CKEditor that lets you upload images, Youtube videos, code snippets etc. on the knowledge base articles. Besides, the script facilitates the admin to perform various activities. For example, he can assign or reopen a ticket, add a post in the community topic exclusively for registered users and so on. Moreover, the script is absolutely responsive on every type of device screen, be it mobiles, tablets or desktops. Get the regular license of the knowledge base PHP script at just $35 and extended license at $275. Availing either of the licenses will also facilitate you with a dedicated 6-month support. In the above section, we have mentioned some of the handpicked knowledge based PHP scripts that will definitely help you in the long run. Just pick a solution which you find best for your website and get started! In case you get stuck somewhere in these scripts or have a suggestion, drop a comment in the below section.